maison en cours de construction?loue-moi. Mobile Home, 2 chambres 2 salles de bain, (6-8) .fenced dans la cour. pas disponible déc. à avril de chaque année. Avantages uniques de cette maison-la cour est située sur un canal d'eau douce appelé leslie hepner, avec accès à de beaux lacs et voies navigables. café sur le doc chaque matin une pêche chaque soir est très amusant .. nous appelons pour s'assurer que les choses ont bien gorne, et répondre à toutes les questions que vous avez. Grande pêche au large du quai privé avec des paysages, la faune, beau temps et la paix et la tranquillité. Ville florale, une petite communauté résidentielle offre Shopping, salle à manger, avec plusieurs excellents restaurants, antiquités et bibliothèque. Emplacement du seul feu de signalisation dans la zone. Le sentier Withlacoohee, un sentier récréatif pavé de 46 milles pour la randonnée pédestre, le vélo et le patinage (non autorisé) est à proximité. En outre, une gamme de conduite locale bien entretenu avec des jeux d'intérieur, et un parcours de golf miniature 18 trous pour divertir les visiteurs est à proximité et plusieurs terrains de golf réguliers dans la région. La ville d'Inverness, le centre commercial gouvernemental du comté de Citrus, est à 10 min en voiture avec une variété d'épiceries, de restaurants et d'options de vie nocturne. Pour les visiteurs voyageant sur les lignes aériennes commerciales les aéroports internationaux de Tampa et Orlando sont environ une heure de la maison. Alors que cette maison au bord de l'eau offre une échappée calme et isolée et est loin du bruit et de la circulation Big City. Il est toujours à distance de conduite facile des principaux aéroports, et toutes les activités qui attirent les visiteurs de Floride en Floride centrale tout compris. I loved it so much I bought the place next door! Come be my neighbor you love it too! Overall, we had a nice stay in this house. We stayed there for 2 months and a half. 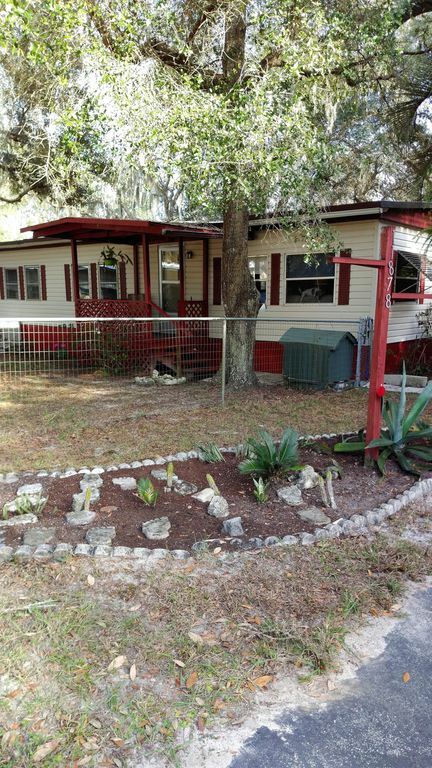 We needed to find a place in between Tampa and Orlando for us to look around the are and buy our own property. This house fit perfectly for our location needs even though Floral City can be a little far from everything. Floral City is a cute little town and it is very quiet. The house is about 10 min away from downtown by car. There are only two small bars in the area. Even though there is a small market in town, if you need to go to the supermarket or the pharmacy, it will take you a good 30 min drive because they are located in a town nearby. Since the house is a little far from the main highways, I believe this property may be the perfect spot for someone that just wants to relax and get away from everything. The house has a beautiful back yard where you can spend hours and hours! My dog had a really good time in this house and she just love it there!! And that is something that I am grateful for!! It is def not easy to find a place that accepts pets and I thank Pauline and David very much for that! I must recognize that the neighborhood is not the best but don't be deceived by the looks! I found the neighbors to be really nice and friendly. I must say that sometimes you may find big roaches in the house as well as bumblebees and caterpillars right outside (the latter seem to show up at this specific time of the year) but there are plenty of insect spray killers in the house that are at your disposal. Internet, cable and phone work really well as well as all electronic devices in the house. There are nice couches to watch TV and the house is well equipped overall. Finally, I must say that Pauline and David are very receptive and always make sure to call you right back whenever you need them. I once had a problem with the internet but Pauline and David were very helpful and they fixed the problem at the very next day. After the problem was fixed, they called me just to make sure that everything was ok, which was very thoughtful of them! So, they are great people to deal with, which I think is essential if you want to rent the house for some time :)!!!! Peaceful, We had an awesome time here! We had a great vacation here! It is so quite and peaceful.Plenty of room, easy to maintain home. Beautiful yard, the dogs loved it.Fruit trees, sitting on the dock watching the boats travel the canal was awesome! We loved it ! Thank you! Can't wait till next year!